The biggest racing event of the Queen City season and final event of the LORC regatta schedule is upon us. 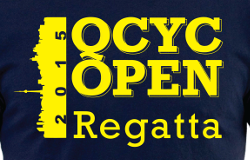 Get your crew organized and register today for the 2015 QCYC Open. For more information go to the Regatta Page.